ROKKI CTO Edwin Ng (centre left) accepting the award from Inflight Magazine Editor Alexander Preston, flanked by AirAsia cabin crew. 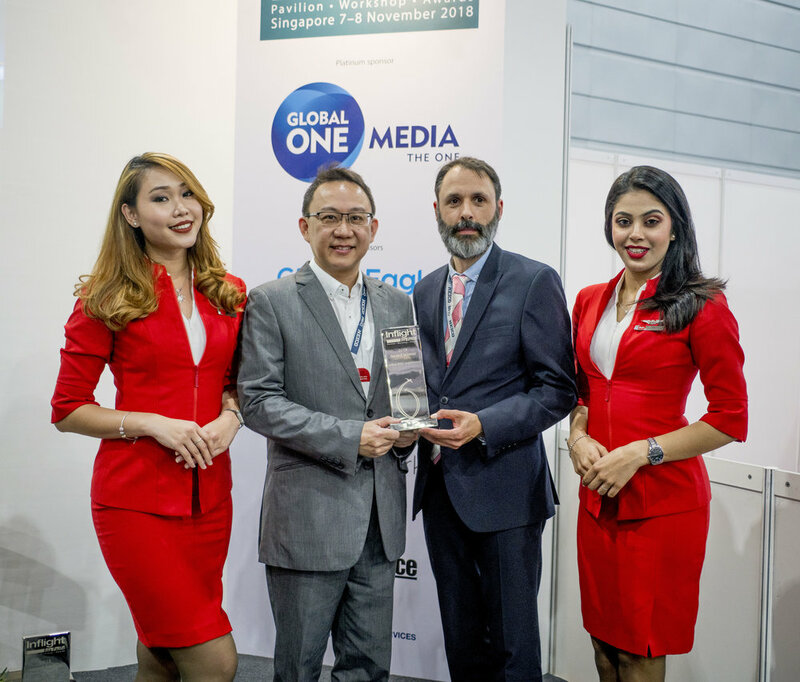 SEPANG, 9 November 2018 - AirAsia has won the Airline IFEC Experience award for its ROKKI platform at the Inflight Asia Pacific Awards 2018. The award recognises the foremost inflight entertainment and connectivity (IFEC) experience delivered by an airline serving Asia Pacific. AirAsia and ROKKI edged out full-service carriers Singapore Airlines, Qatar Airways, Saudia, El Al Israel Airlines and SriLankan Airlines for the honour. The award was accepted by ROKKI CTO Edwin Ng at an awards ceremony held at the Singapore Expo Convention and Exhibition Centre yesterday. Also present was ROKKI Head of Marketing Joey Lee. ROKKI CEO Lalitha Sivanaser said, “This achievement is testament to the complete digital experience offered by ROKKI. With our internet, entertainment and shopping services, passengers can enjoy an enhanced inflight experience while staying connected, making their journey as seamless as possible, as if they never left the ground." The Inflight Asia Pacific Awards recognise outstanding IFEC product or service offerings from across the region. Each award category is judged by an independent panel of industry experts, who aim to honour the superb technical creativity produced by these ever-evolving industry sectors.